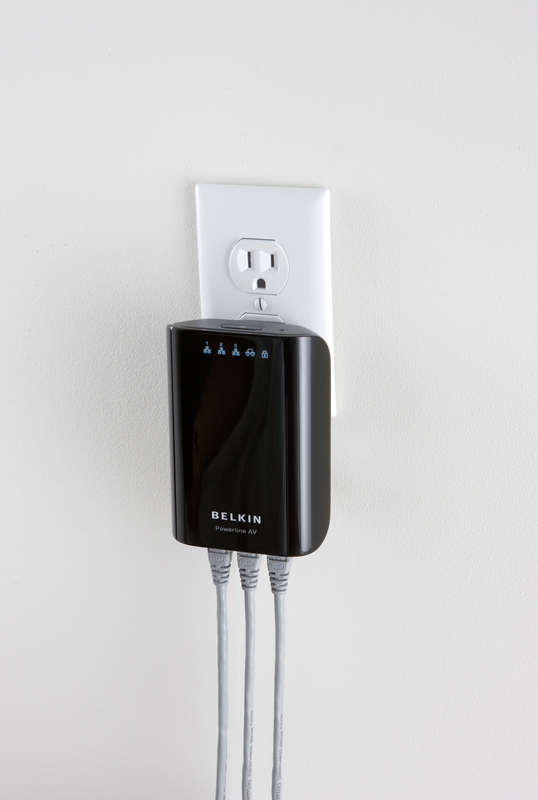 Belkin introduces a new line of Powerline Networking Adapters that allows you to reliably transmit content from your Internet directly to your home theater system and computer through the wires in your home. For areas in a home that are hard to reach by wireless connections, Powerline is the most reliable solution for providing secure Internet connectivity to these remote areas. 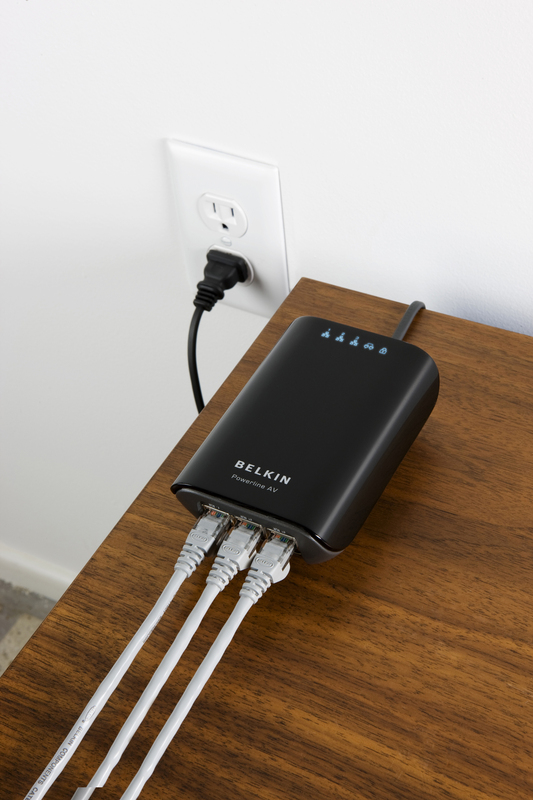 Belkin’s top Powerline product, Powerline AV+, offers three ports on its Adapter to support up to three devices, such as a gaming console, set-top box, or computer. It also includes a single-port Adapter to plug into your router. Transfer speeds of up to 200Mbps make Powerline AV+ ideal for streaming HD media from your computer to your home entertainment system. Setup of Powerline is simple with its plug-and-play connectivity. Plug one end of the Adapter into an available wall outlet and connect the other end to any device with an available Ethernet port (RJ45), such as a gaming console, set-top box, or computer. In 2009, IDC projects a 66% growth of network-enabled DVRs and a 163% growth of network-enabled TVs. Parks Associates projects connected game consoles to grow 340% from 2007 to 2011. Since most people’s routers are not located next to their AV systems, Powerline technology would be the most ideal method to network DVRs, TVs, and gaming consoles.